A BMW is not a backstreet clunker. This model of automobile has a history of craftsmanship and dedication to detail. Even the older BMWs are noted for being classics on the outside and wonders underneath the hood. These cars do need routine maintenance work and while spark plug and oil changes are ordinarily on the maintenance bucket list, servicing the transmission BMW is many times be ignored. That is not a good idea at all. Many people are not aware of this, but the transmission is perhaps the most intricate piece of any BMW. It works in conjunction with other car components to handle the speedy acceleration of the BMW. The overall health of the transmission relies on two things: transmission fluid and the transmission filter. Transmission fluid provides the lubrication needed to reduce wear on the transmission, and they also help keep it from overheating. There still is some wear and tear that can happen, and the transmission fluid itself can become contaminated with metallic particles. These particles can circulate through the system and add to the gradual deterioration of the transmission. The transmission filter serves to trap those metal bits and other abrasives before they start circulating through the transmission fluid. It is essential to see to it that both the transmission fluid and the transmission filter is given proper maintenance service. BMWs are known for having excellent transmissions but that does not mean they do not have to be serviced. There are some warning signs that let the owner know it’s time to pay close attention to the transmission. Transmission fluid is red and if it starts to look brown there are some problems developing. The smell of burnt rubber may not be coming from the tires but from the transmission, and that is a warning signal of a need for servicing. Other things can include unusual noises coming from under the hood or buzzing sounds. Overheating is a primary cause of serious transmission problems. That is due the age of the transmission fluid; the older the fluid the lower the cooling properties of the liquid. This can result in problems when the owner is shifting gears, and is a flashing red light alerting the owner to a need for transmission service. BMWs make use of lifetime fluids that are supposed to last the entire life of the vehicle. These synthetic fluids are much more expensive than the conventional variety, but can last up to 100,000 miles. Of course, if a person has purchased a used BMW then the automobile is closer to that mile marker. It is ordinarily recommended that transmission fluid be changed at approximately every 50,000 miles. This would also be a good time to take a look at the transmission filter. The BMW transmission can also have problems that are not related to the fluid or the filter. 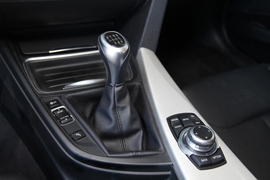 An example would be if there is difficulty in shifting the transmission into higher gear. A grinding or clicking noise can alert the driver to problems that are happening within the machinery itself. Also known as a transmission slip, this is the kind of problem that can morph into a major one very quickly. It is something that requires the investigation of a professional mechanic. The transmission system fortunately does not need attention every other month. The BMW literally has to be driven for tens of thousands of miles before the transmission fluid has to be changed or the filters replaced. Servicing a BMW transmission is not something, however, that should be delayed indefinitely. 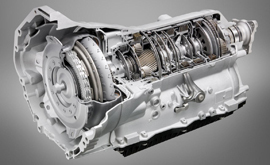 The total replacement of a transmission can cost thousands of dollars. Once the odometer has registered miles recommended by either the manufacturer’s guide or an auto mechanic, the transmission needs the attention it deserves. It can be a do-it-yourself project if the car owner knows what he or she is doing. However, the BMW transmission is a delicate work of mechanical art, with very thin clutch plates and a transmission fluid change has to be done very carefully. If there is any hesitancy, then the transmission is too important a piece of machinery for a beginner. Taking the car into an automotive center that specializes in BMW models would then be the best course of action for the owner.